The Radeon R9 285X, the model that I told you about few times before, was canceled by AMD shortly before launch. To our surprise, it has finally made its first public appearance, more than 2 years after initial launch date. This model was never just a rumor. It was supposed to arrive a month after R9 285, although it was quickly canceled. Plans to launch 285X were probably scrapped due to poor reception of Tonga power efficiency over Tahiti-based models — the R9 285X would clearly have higher power requirements than R9 285, so it would only get worse). 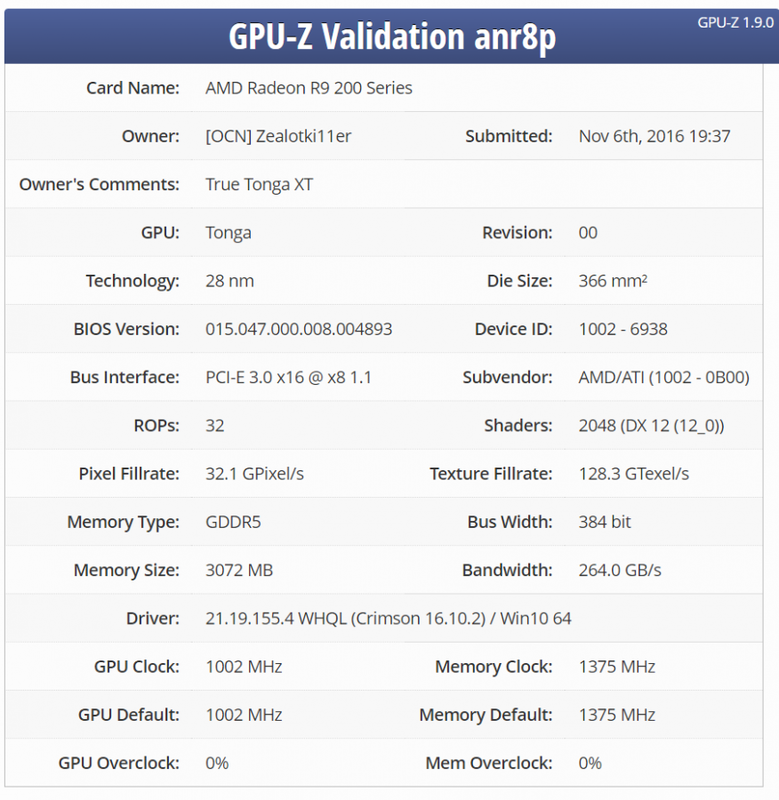 And yes, it means that full Tonga initially had 2048 Stream Processors and 384-bit memory interface. This GPU was never released in such configuration. The only variant that was made public was 2048 SP version, but with 256-bit memory bus for Macs (Amethyst R9 M295X). It was also later available as R9 380X, but still with 256-bit bus (I guess AMD just wanted 4GB card, 384-bit would either mean 3GB or 6GB).